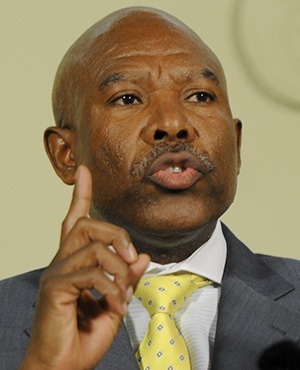 After facing tough questions about the Monetary Policy Committee’s (MPC’s) decision to increase rates, SA Reserve Bank governor Lesetja Kganyago gave insight into how the decision was reached, at a media lunch this week. One of the criticisms of the 0.25 percentage point rate hike was that it would affect an already weak economy. Kganyago argued that South Africa’s economic growth woes would not be cured through monetary policy as these were rooted in structural economic challenges. The Reserve Bank’s mandate is to focus on price stability and contain rising inflation, which erodes the buying power of all income earners. The bank is concerned that inflation remains too close to the upper band of 6% and would like to see inflation set at closer to 4.5%, which it hopes to achieve over the next five years. Deputy governor Daniel Mminele explained that an inflation rate falling well within the inflation rate band allowed for major internal or external shocks, without the bank having to take immediate steps to intervene. The central bank would prefer to see a predictable management of interest rates rather than rate hike shocks to the economy – and that means increasing rates incrementally in the face of increased risks. Despite the recent rally in the rand and lower fuel prices in December, Rashad Cassim, MPC member and the head of economic research and statistics at the Reserve Bank, said the role of the MPC was to look beyond the short-term risks to the inflation risks faced over the next nine months. The bank believes that the currency remains vulnerable and volatile. The rand remains strongly linked to the fortunes of other emerging economies, as the recent fallout in Argentina and Turkey demonstrated. Currently, world growth favours developed economies – specifically, the US. This, combined with rising US interest rates, attracts foreign investors looking for yield. This will continue to strengthen the US dollar, putting pressure on emerging market currencies. In addition, Cassim says the current account deficit and budget deficit will also weigh negatively on the rand. The current account deficit widens when South Africa spends more on imports than it receives from exports, as rands are sold to pay for the imports. The bank’s Quarterly Projection Model, which is forward looking, is indicating a further three rate hikes. However, Kganyago said this did not necessarily mean the hikes would materialise; it would depend on inflation and economic growth leading up to the next MPC meeting.